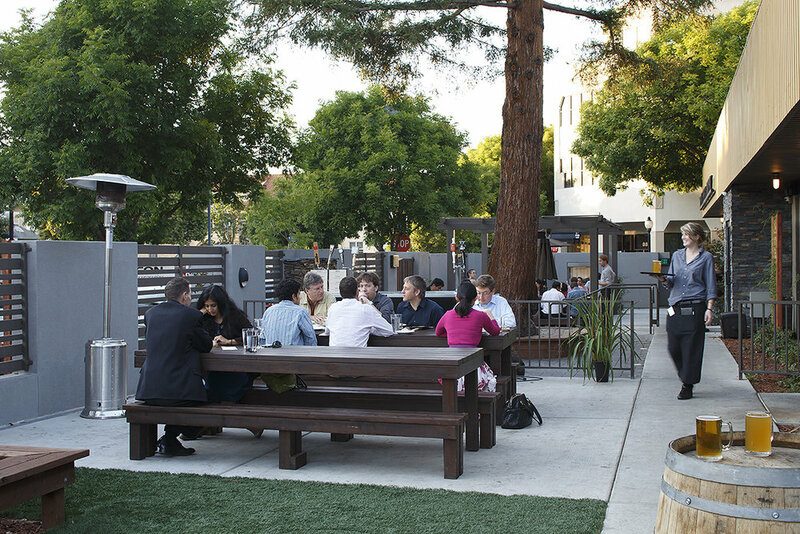 Since its opening of Spring 2013, Steins Beer Garden has been a thriving gem to the downtown Mountain View area. D-Scheme Studio submitted for Planning Department, Design Review, Building and Health Department permits and completed construction administration services. In Mountain View, D-Scheme Studio transformed an old run down corner building into a 8,750 sq. ft. California cuisine restaurant and 5,000 s.f. 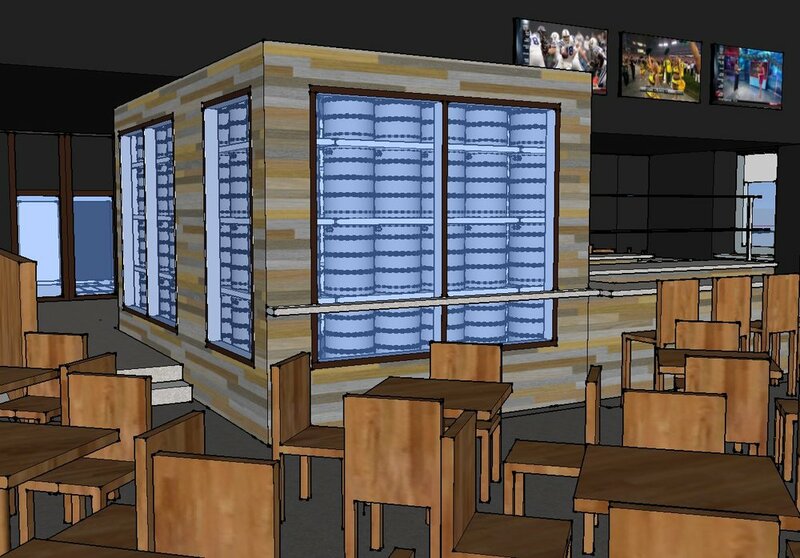 exterior Beer Garden concept. 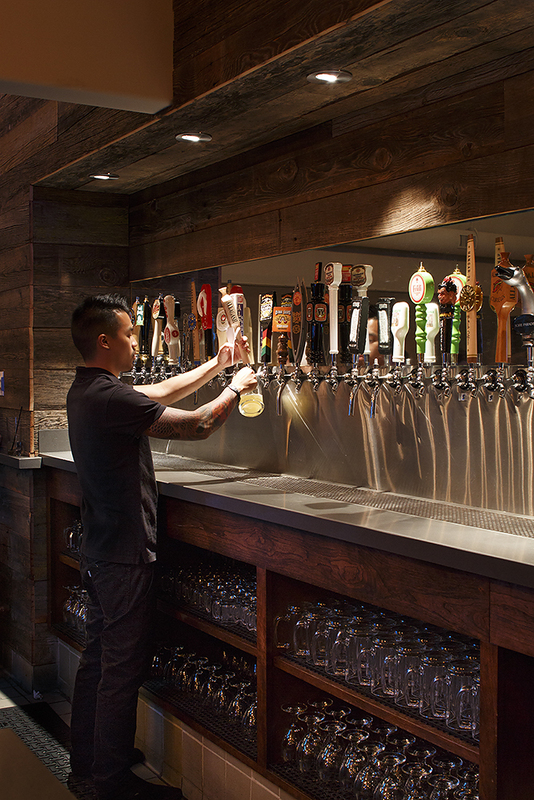 Scope of services included kitchen design, bar design, interior design, interior space plan, lighting design, accessibility upgrades, Beer Garden Landscape Design, signage design, interior / exterior finishes and furniture selection and purchasing. Custom Design features include but not limited to: relocating the main entry from Bryant Street to Villa Street, custom show case beer refrigerator, reclaimed wood from an old barn (then sanded and treated for reuse throughout), "magic glass" TV wall, showcase chef and grill in private banquet dining, landscape design with water feature, fence design, trellis and double sided glass fire place.